When a war ends in Africa and leaders finally gather at the peace table, half of humanity is typically missing: women. It’s bad enough that girls and women are often targeted when armed marauders, militias and government-sanctioned predators run amok. It’s worse, say a growing group of women who identify themselves as peacemakers, that women are often ignored when peace is made. Too often, continuing violence can hamper or destroy efforts to rebuild society. 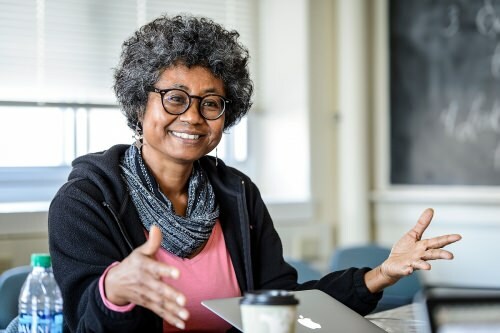 Now, the University of Wisconsin–Madison is hosting a project designed to explore women’s existing roles in African peacemaking and to see what lessons can be gleaned from their mostly informal initiatives. 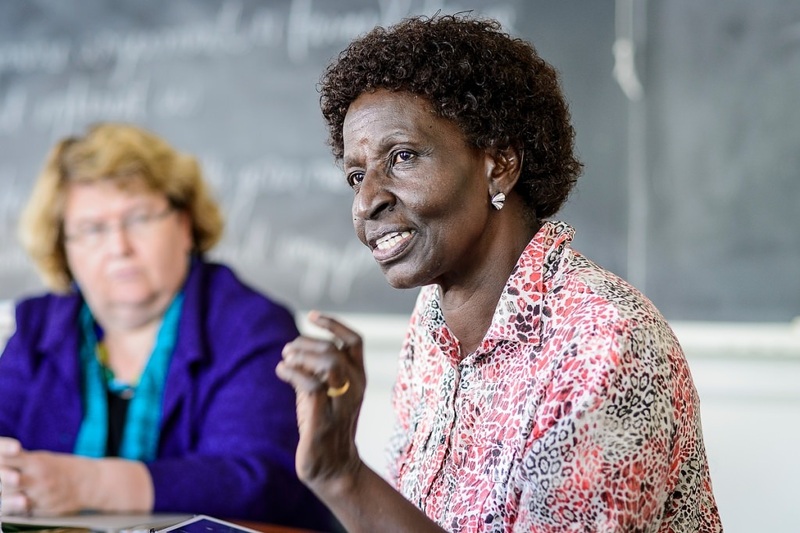 In September, members of the steering committee for the Women and Peacebuilding in Africa project described their perspective on the reality behind the headlines about the many conflicts that have beset Africa in recent decades. But women are also at the forefront of local and national initiatives to bring about peace and confront extremism. This is the central concern of the research project. Funded by a collaborative research grant of $961,600 from the Carnegie Corporation of New York and the Norwegian Ministry of Foreign Affairs, the women and peacebuilding project is being administered by UW–Madison’s Center for Research on Gender and Women, under the direction of Aili Tripp, a professor of political science and gender and women’s studies. In July, the two-year project began to look at the cost of women’s exclusion and the possibilities for their inclusion in peace talks, peacebuilding, and political institutions in countries affected by war in Africa, including regions with predominantly Muslim populations. The researchers include scholars and women’s rights activists from Nigeria, Somalia, Sudan, Uganda, Norway, and the United States, who are working in Somalia, Algeria, Nigeria, South Sudan and Sudan.